Have you heard of Nopalea (no-pah lay'uh) wellness drink? This 32-ounce bottle packs quite a punch for those that are in favor of natural ways to help with inflammation. The benefits include cleansing toxins in the body; help optimized health, and reducing inflammation if taken daily. Nopalea is taken from the fruit of cactus, Opuntia Ficus Indica, which has been used for centuries by native people and contains healing properties from Nopal fruit. Moreover, you can try these drinks for FREE now by calling these numbers 1-800-203-7063 and pay for the shipping of $9.95. 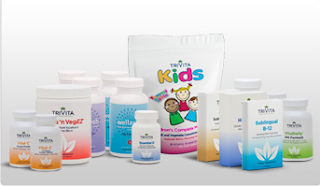 Other wellness products are also available on their website, including a line of healthy choices for children. Living with chronic inflammation is very tough for those who have arthritis, or muscle and joint disease. Nopalea can help with its natural ingredients to keep you enjoy your life to the fullest. The rare and potent antioxidants (Betalains) have been scientifically proven to reduce inflammation. Over three million bottles have been sold and the company's mission is to "help people everywhere achieve greater wellness and create wealth for their life purposes." They are on Facebook if you want to know more, buy their products and click Like to receive some special offers. it's amazing how a thorny cactus can bring so much wonders, indeed, the healing powers from the desert. We have so many healing products occurring naturally. I prefer to use the natural ones. I've never heard of this product but I do have severe osteoarthritis in both shoulders and knees...I'm hoping to try some ayurveda modalities while I am in India. Great info. I have always love cactus, now even more.